From Electro-Harmonix...In the early '90s we sold thousands of Sovtek MIG-50 amps. Players loved how they nailed that vintage 1959 tweed Bassman® tone. Unfortunately those "made in Russia" amps suffered from less than stellar mechanical construction. But, even with their problems, they continue to sell at super high prices because players really dig their sound. 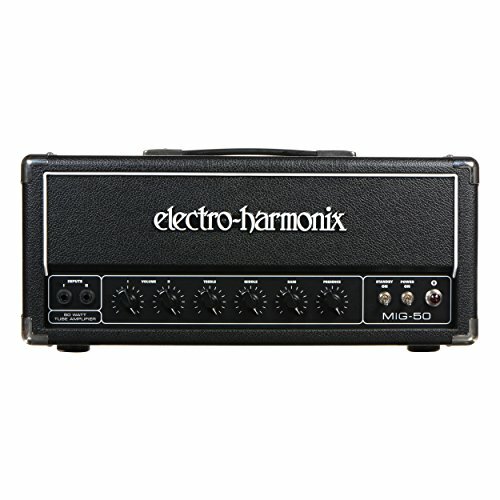 Now I'm really psyched to introduce the new Electro-Harmonix MIG-50. It's a faithful reissue of the original with solid improvements to the components and construction. They are assembled by hand here in our NYC factory and the build quality is first rate. The result is a MIG-50 head with sound and tone that's a proven winner in a really robust, road worthy package.